Lynyrd Skynyrd Guitar Riffs "Sweet Home Alabama" - Free Lynyrd Skynyrd Guitar Riffs! This free Lynyrd Skynyrd guitar riff is "Sweet Home Alabama". This is probably the most poplular Lynyrd Skynyrd guitar riff. It uses the D, C and G chord progression as you can see below. This is an easy Lynyrd Skynyrd riff to play once you get the rhythm down. Don't forget to use the backing track to play this Lynyrd Skynyrd Guitar Riff once you think you have it mastered. This is part of the solo to "Sweet Home Alabama" by Lynyrd Skynyrd. This riff repeats itself alot using hammer ons and pull offs but it still sounds really cool. 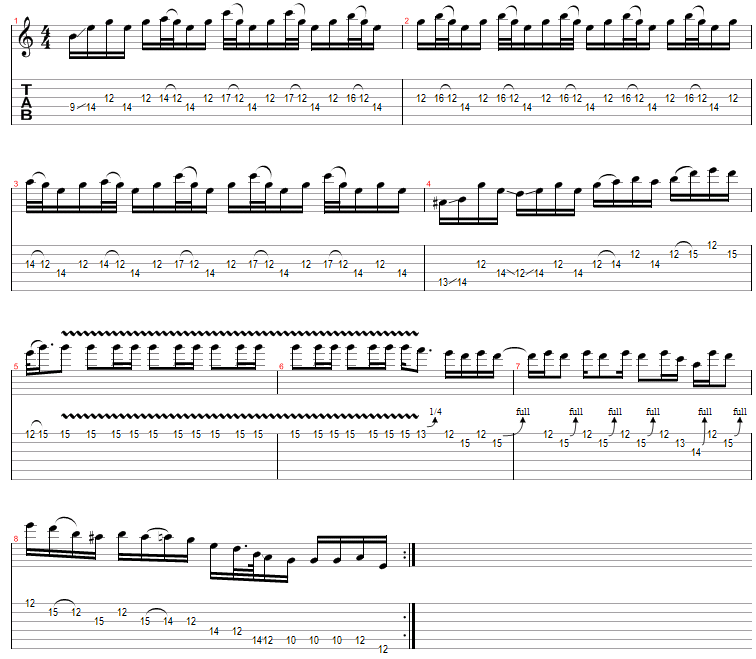 Notice how this riff uses the Minor Pentatonic Scale alot especially the E Minor Pentatonic Scale in the 6th measure. This is an easy riff to play you just have to get the speed and timing.